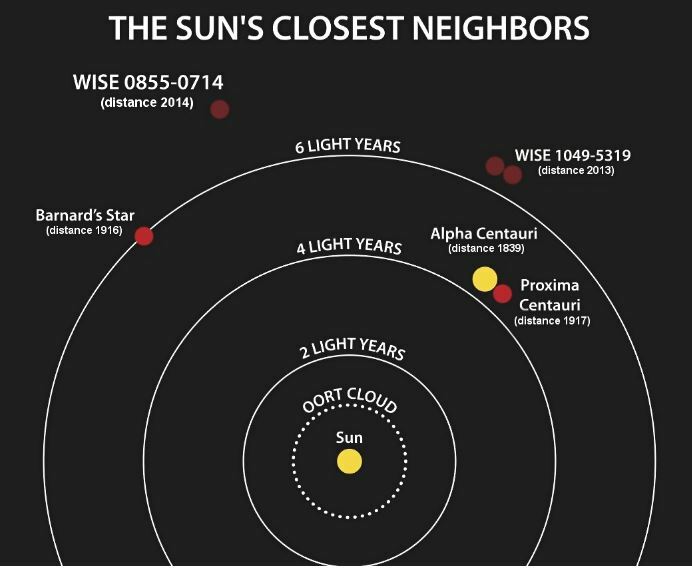 One thing the Sun has in common with the planets is rotation. ‘Rossby waves, also known as planetary waves, are a natural phenomenon in the atmosphere and oceans of planets that largely owe their properties to rotation of the planet.’ – Wikipedia. New evidence shows these type of waves also exist on the Sun. 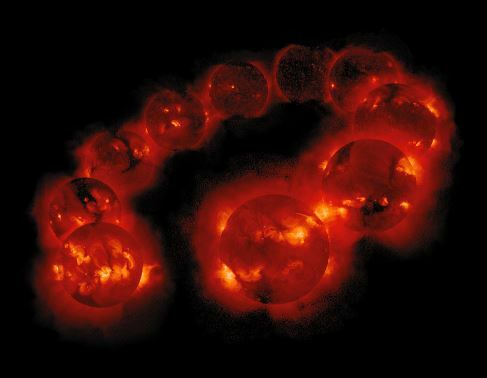 Our sun is a chaotic place, simmering with magnetic energy and constantly spewing out particles. 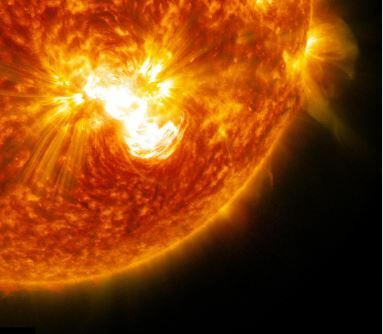 Sometimes the sun releases solar flares and coronal mass ejections — huge eruptions of charged particles — which contribute to space weather and can interfere with satellites and telecommunications on Earth. While it has long been hard to predict such events, new research has uncovered a mechanism that may help forecasting these explosions, reports ScienceDaily. The research finds a phenomenon similar to a common weather system seen on our own planet. Weather on Earth reacts to the influence of jet streams, which blow air in narrow currents around the globe. 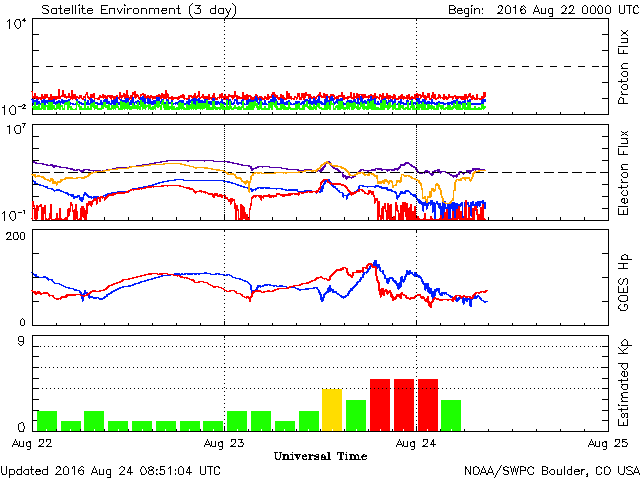 These atmospheric currents are a type of Rossby wave, movements driven by the planet’s rotation. 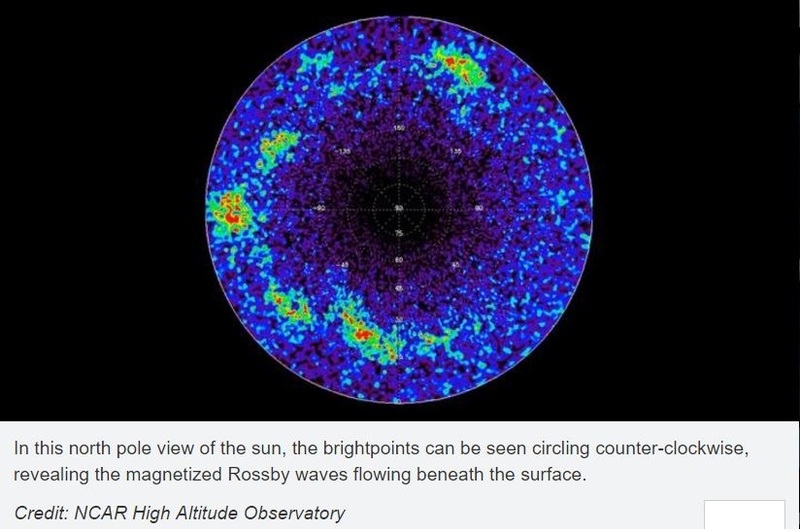 Using comprehensive imaging of the entire sun with data from the NASA heliophysics Solar Terrestrial Relations Observatory — STEREO — and Solar Dynamics Observatory — SDO — scientists have now found proof of Rossby waves on the sun. A tough question on the face of it, but the researchers claim to have unearthed a ‘new type of solar event’ based on evidence from one tree (according to this report). Nagoya, Japan – An international team led by researchers at Nagoya University, along with US and Swiss colleagues, has identified a new type of solar event and dated it to the year 5480 BC; they did this by measuring carbon-14 levels in tree rings, which reflect the effects of cosmic radiation on the atmosphere at the time, as Scienmag reports. They have also proposed causes of this event, thereby extending knowledge of how the sun behaves. 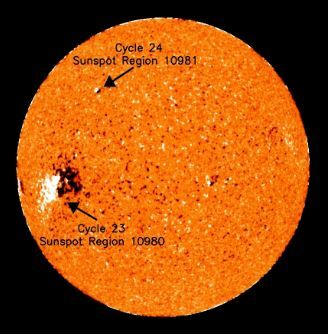 When the activity of the sun changes, it has direct effects on the earth. For example, when the sun is relatively inactive, the amount of a type of carbon called carbon-14 increases in the earth’s atmosphere. Because carbon in the air is absorbed by trees, carbon-14 levels in tree rings actually reflect solar activity and unusual solar events in the past. The team took advantage of such a phenomenon by analyzing a specimen from a bristlecone pine tree, a species that can live for thousands of years, to look back deep into the history of the sun. A small team of researchers with the University of Hawaii, Ponta Grossa State University in Brazil and Stanford University has found what they believe is the reason that the surface of the sun rotates more slowly than its core, reports Phys.org. 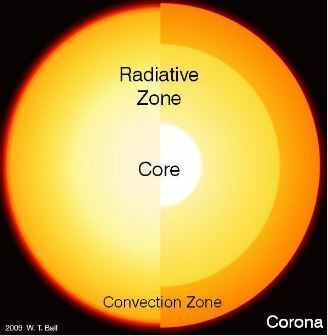 In their paper published in the journal Physical Review Letters, the team explains how they used a new technique to measure the speed of the sun’s rotation at different depths and what it revealed about the speed of the sun’s outer 70km deep skin. 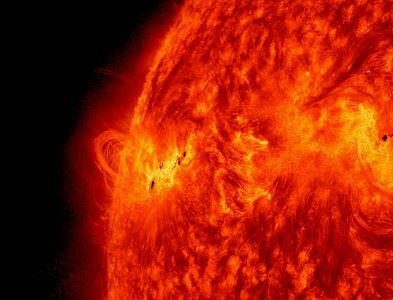 Scientists have known for some time that the surface of the sun spins more slowly than its interior but have no good explanation for it. 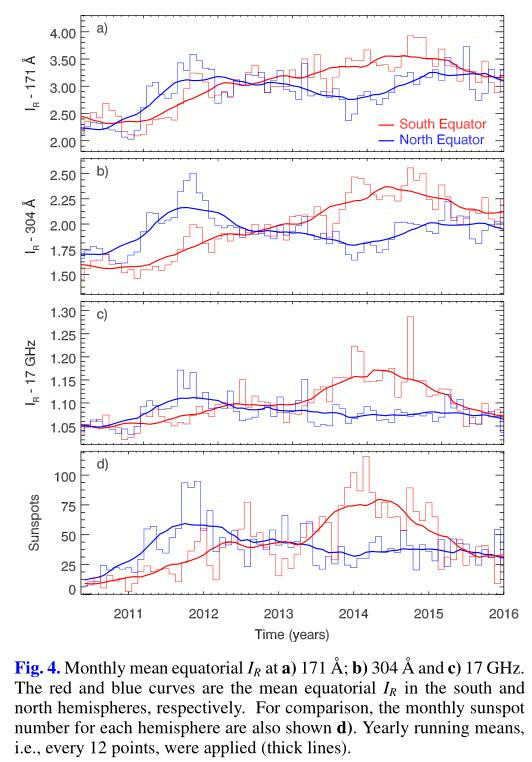 In this new effort, the researchers were able to take a better look at what was occurring and by doing so discovered what they believe is the source of the slowdown. 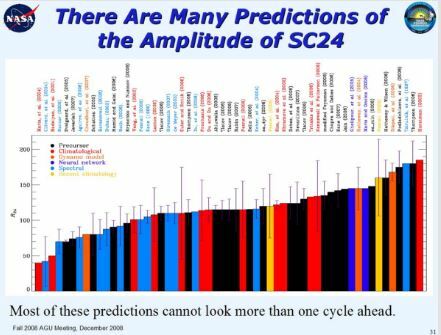 They seem to base their estimates of the past solar cycle length on a study of only 79 years’ worth of data which is almost certainly too short for high accuracy, but the results are interesting nevertheless. A pair of German researchers has found evidence in ancient tree rings of a solar sunspot cycle millions of years ago similar to the one observed in more modern times, reports Phys.org. In their paper published in the journal Geology, Ludwig Luthardt and Ronny Rößler describe how they gathered an assortment of petrified tree samples from a region in Germany and used them to count sunspot cycles. 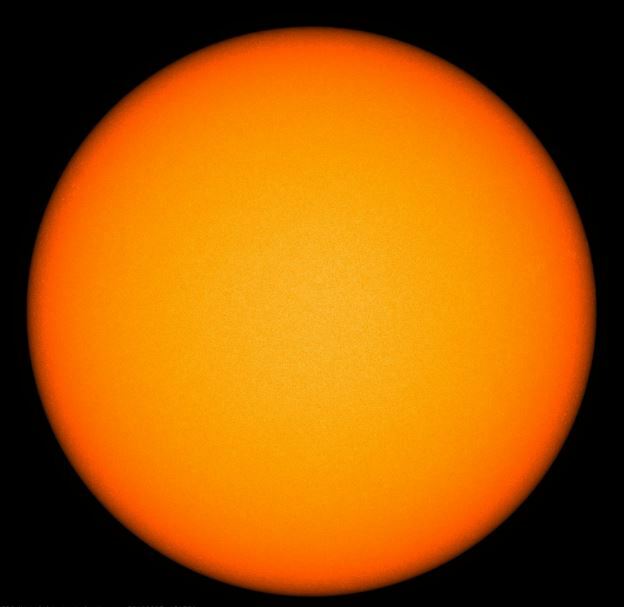 Scientists know that the sun undergoes a sunspot cycle of approximately 11 years—some spots appear, grow cooler and then slowly move toward the equator and eventually disappear—the changes to the sun spots cause changes to the brightness level of the sun—as the level waxes and wanes, plants here on Earth respond, growing more or less in a given year—this can be seen in the width of tree rings. 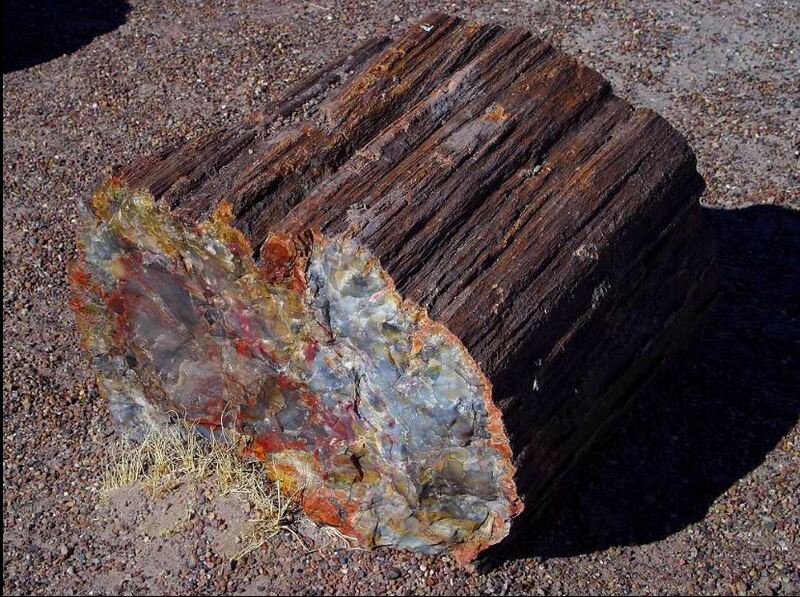 In this new effort, the researchers gathered petrified tree samples from a region of Germany that was covered by lava during a volcanic eruption approximately 290 million years ago (during the Permian period), offering a historical record of sun activity. From A& A (Astronomy and Astrophysics) this month is a paper where some readers will take a shine. The Sun usually exhibits ~11 year cycles of activity, but the historical sunspot record shows quite a large variance on this average figure. Here at the Talkshop, we have been developing a theory which relates solar activity levels to the motion of the planets, and in particular the motion of Jupiter, Earth and Venus. 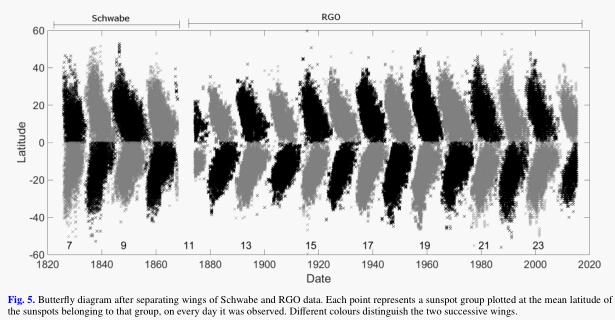 Simple indexes of ‘most aligned days’ were devised by Jean-Pierre Desmoulins, and later by NASA physicist Ching Cheh Hung, which was replicated by Talkshop contributor Roy Martin.